It's not like Jimmy Stewart has anything to do with It's A Wonderful Life being shown on TV every December. If they didn't continue to be promoted, they would likely have been forgotten by now especially the ones from the 1800s and before. 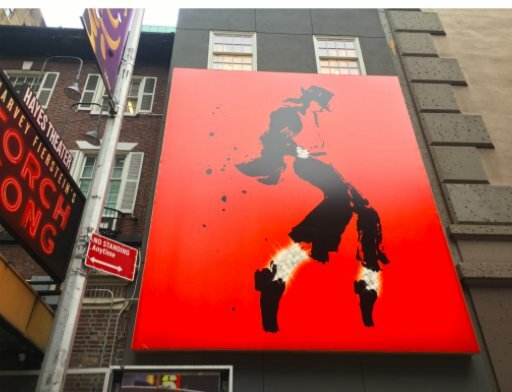 According to a new casting notice, the previously announced musical based on the life and career of pop icon Michael Jackson is gearing up for a New York City lab next month. According to a recent casting notice, the lab will be presented under the title Westlake (also the name of the recording studio where Jackson recorded his most legendary hits) and will take place from September 24 - October 21, 2018. The production is currently seeking Equity actors to fill several roles. The new musical will feature a book by two-time Pulitzer Prize® winner Lynn Nottageand a score made up of some of the best-loved, top-selling songs in recording history. Tony Award winner Christopher Wheeldon will direct and choreograph. The musical is expected to arrive on Broadway in 2020. Dubbed the "King of Pop", Jackson was one of the most popular entertainers in the world, and was the best-selling music artist during the year of his death. Jackson's contributions to music, dance, and fashion along with his publicized personal life made him a global figure in popular culture for over four decades. Director-choreographer Christopher Wheeldon shares preliminary details of the production. It’s early yet to determine exactly what the Michael Jackson musical will look like when it hits Broadway (projected to bow in 2020), even for director-choreographer Christopher Wheeldon. “We’ve done one 29-hour reading, so we’re still working on the book,” he says of working with book writer and two-time Pulitzer Prize winner Lynn Nottage. 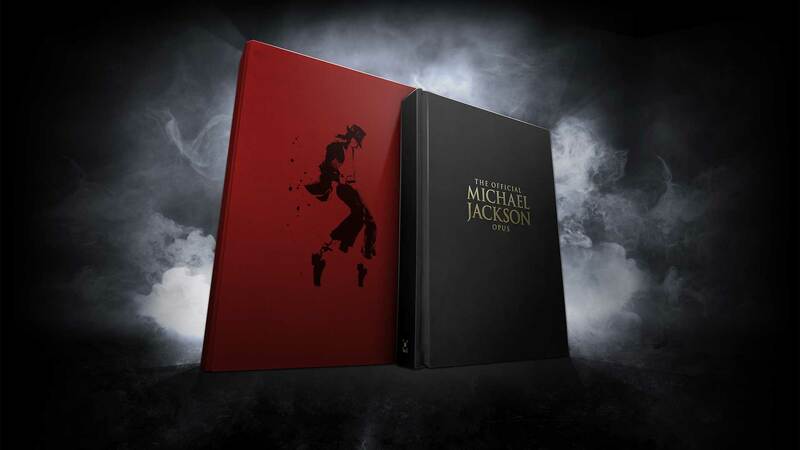 As previously announced the musical is a collaboration between The Michael Jackson Estate and Columbia Live Stage. Wheeldon is about to begin a dance lab for the show, which leads into “a four-week overall lab” as the duo develops the work. Aside from the script, Wheeldon has another daunting task ahead of him: choreographing the man who popularized the moonwalk. 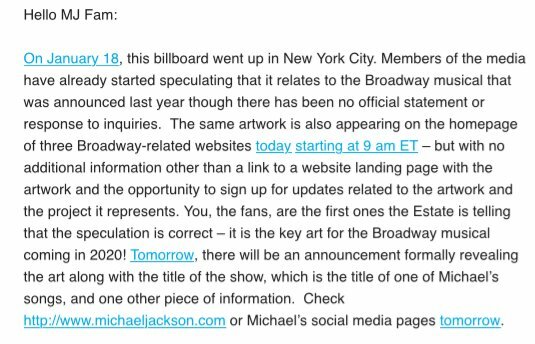 Wow, I can't think of a worse time to be promoting a MJ broadway show. EVERY time the press mention it, if they mention it at all, they'll also be promoting the new documentary. Why give the documentary more promotion? How many times have we seen people post "he made great music BUT..." or "he was a great entertainer BUT...."? The MJ Estate want to focus people on his music, BUT people already know he was good. That won't stop them thinking he was criminal because of the allegations and boycotting his products, including the broadway show,and posting negative comments online. To help MJ, and therefore THEMSELVES, the MJ Estate need to focus on discrediting the allegations. The news of a broadway show does nothing to counteract or disprove the allegations in any way. Cant do right for wrong. This has been in the planning for s long time. Its not like they suddenly created it to counter act any bad publicity from the doc. Talk about reaching. I'm so tired of the 'toes' pic. They overuse it so much, at least this time it's done in a different style. The King of Pop and This is It concerts had a great art direction. This. Im looking forward to the details, even if I'm on the other side of the world!